The epidemiology of multiple sclerosis has been extensively investigated and two features have consistently emerged: marked geographical variation in prevalence and substantial familial clustering. 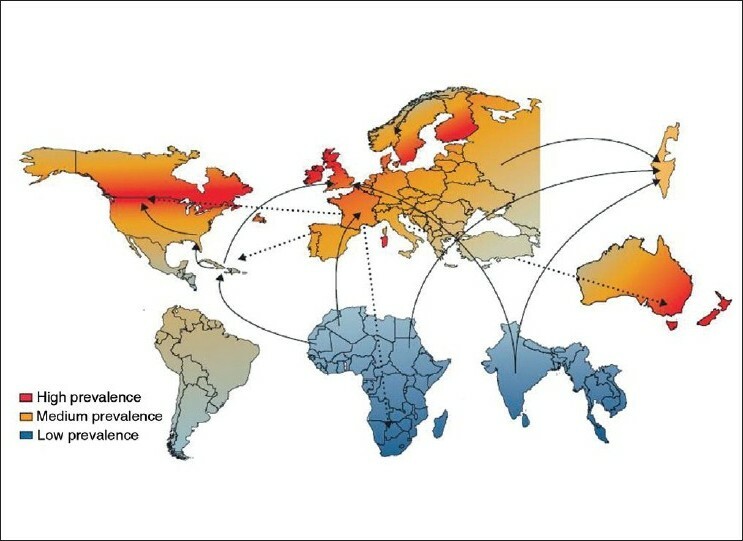 At first sight, geographic variation would seem to imply an environmental cause for the disease, while familial clustering would seem to suggest that genetic factors have the predominant etiological effect. However, given that geographic variation in prevalence could result from variation in the frequency of genetic risk alleles and that familial clustering might result from shared environmental exposure rather than shared genetic risk alleles, it is clear that these crude inferences are unreliable. Epidemiologists have been resourceful in their attempts to resolve this apparent conflict between "nurture and nature" and have employed a whole variety of sophisticated methods to try and untangle the etiology of multiple sclerosis. The body of evidence that has emerged from these efforts has formed the foundation for decades of research seeking to identify relevant genes and this is the obvious place to start any consideration of the genetics of multiple sclerosis. B cells have recently been identified as an integral component of the immune system; they play a part in autoimmunity through antigen presentation, antibody secretion, and complement activation. Animal models of multiple sclerosis (MS) suggest that myelin destruction is partly mediated through B cell activation (and plasmablasts). MS patients with evidence of B cell involvement, as compared to those without, tend to have a worse prognosis. Finally, the significant decrease in new gadolinium-enhancing lesions, new T2 lesions, and relapses in MS patients treated with rituximab (a monoclonal antibody against CD20 on B cells) leads us to the conclusion that B cells play an important role in MS and that immune modulation of these cells may ameliorate the disease. This article will explore the role of B cells in MS and the rationale for the development of B cell-targeted therapeutics. MS is an immune-mediated disease that affects over 2 million people worldwide and is the number one cause of disability in young patients. 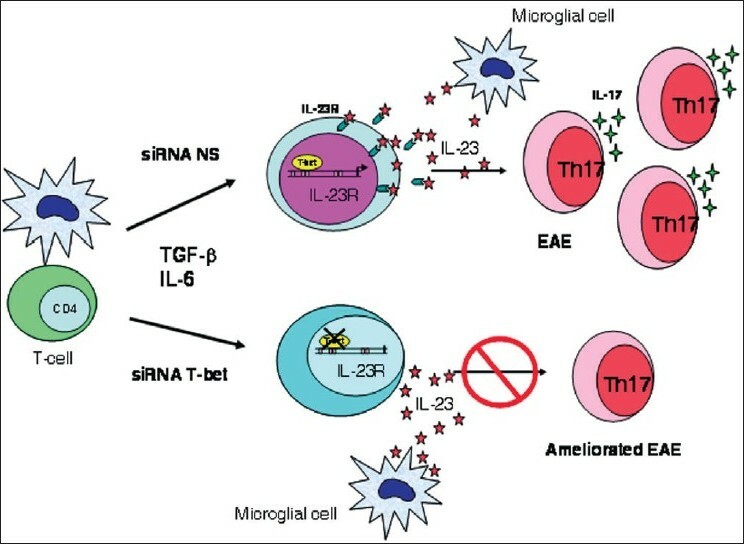 Most therapeutic targets have focused on T cells; however, recently, the focus has shifted to the role of B cells in the pathogenesis of MS and the potential of B cells as a therapeutic target. The diagnosis of multiple sclerosis (MS) requires objective findings referable to the central nervous system. A wide differential diagnosis often has to be considered. Magnetic resonance imaging and electrophysiologic and cerebrospinal fluid studies can all contribute to an early definitive diagnosis. The McDonald diagnostic criteria for MS (2005) are the currently recognized MS diagnostic criteria. The clinical subtypes of MS and their diagnosis are discussed in this article. Being informed of the diagnosis may be a stressful experience for the patient and this is also dealt with. Neuromyelitis optica is an inflammatory demyelinating disorder of the central nervous system. The discovery of a specific antibody (NMO IgG /aquaporin-4 antibody) in patients with this condition has led to a marked revival of research on the disease. This article summarizes the major advances in neuromyelitis optica, particularly in the last 2 years, and supplements the previous review published in this Journal in 2007. 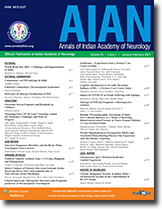 Important among these developments are: the epidemiological studies, which have provided estimates of incidence and prevalence; identification of mutations in the aquaporin-4 gene; improved understanding of the effects of anti-aquaporin-4 antibody on astrocytes; roles of excitatory amino acid transporter type 2 and glutamate; requirement of aquaporin-4 to be in orthogonal arrays to be antigenic; recognition of the presence of aquaporin-4 antibody in patients with cancer and posterior reversible encephalopathy syndrome; possibility of monitoring the disease using the antibody, and the effectiveness of rituximab and mycophenolate in preventing relapses. Pediatric multiple sclerosis (MS) represents a particular MS subgroup with unique diagnostic challenges and many unanswered questions. Due to the narrow window of environmental exposures and clinical disease expression, children with MS may represent a particularly important group to study to gain a better understanding of MS pathogenesis. 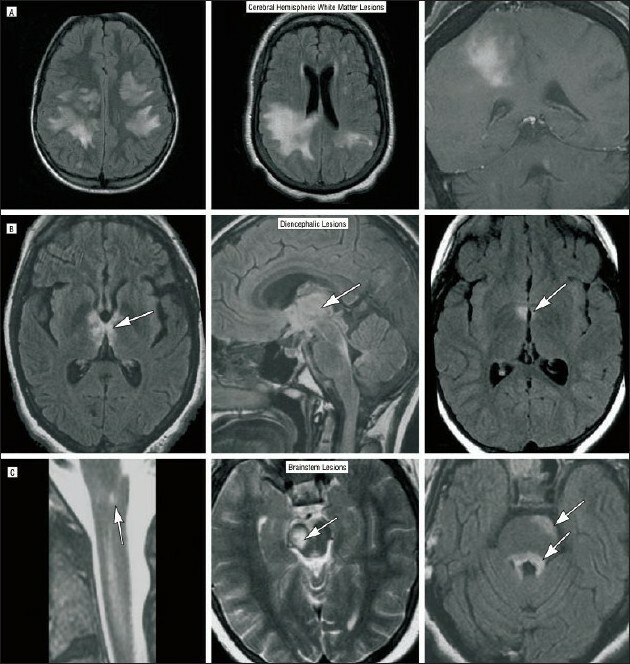 Acute disseminated encephalomyelitis (ADEM) is more common in children than in adults, often making the differential diagnosis of MS, particularly a clinically isolated syndrome, quite difficult. Although both disorders represent acute inflammatory disorders of the central nervous system and have overlapping symptoms, ADEM is typically (not always) self-limiting. The presence of encephalopathy is much more characteristic of ADEM and may help in distinguishing between the two. Young children (under ten years old) with MS differ the most from adults. They have a lower frequency of oligoclonal bands in their cerebrospinal fluid and are less likely to have discrete lesions on MRI. Problems of cognitive dysfunction and psychosocial adjustment have particularly serious implications in both children and teenagers with MS. Increased awareness of these difficulties and interventions are needed. While clinical research on therapies to alter the disease course is limited, the available data fortunately suggests that disease-modifying therapy is well tolerated and likely to be effective. Ultimately, multinational research studies are necessary to advance our knowledge of the causes, symptoms, and treatment of pediatric MS and such collaborations are currently underway. Background: Technological advances have made it possible to examine the human cerebrospinal fluid (CSF) in a manner that was previously impossible. CSF provides a window into the changes that occur in the central nervous system (CNS) in health and disease. Through analysis of the CSF, we discern indirectly the state of health of the CNS, and correctly or incorrectly, draw conclusions regarding mechanisms of CNS injury and repair. Objective, Materials and Methods: To review the current state of knowledge of changes in the CSF in multiple sclerosis. Discussion: Establishing CSF markers that permit evaluation of the various biological processes in multiple sclerosis remains a challenge. 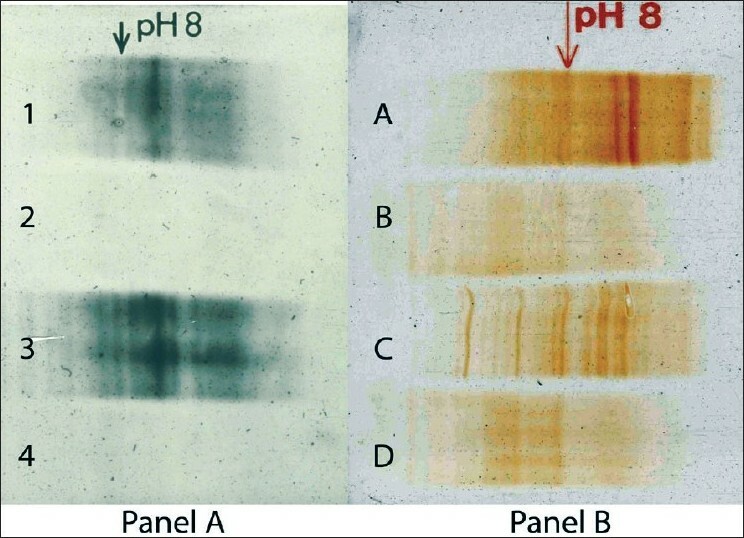 Of all the biological processes, inflammatory markers are probably the best identified. Detection of oligoclonal immunoglobulin bands in the CSF is now established as the single most useful laboratory marker in the CSF to aid in the diagnosis of multiple sclerosis. Markers of demyelination, remyelination, neuro-axonal loss, neural repair and regeneration, and astrogliosis are only now being recognized. A good surrogate for any of these pathophysiological processes has not been defined to date. Conclusion: The goal of future research is not only to define surrogate markers in the CSF for each of the above functions, but also to extend it to other more readily accessible body fluids like blood and urine. A synopsis of the current literature in most of these areas of CSF evaluation pertaining to multiple sclerosis is presented in this article. Since 1993, six disease-modifying therapies for multiple sclerosis (MS) have been proven to be of benefit in rigorous phase III clinical trials. Other agents are also available and are used to treat MS, but definitive data on their efficacy is lacking. Currently, disease-modifying therapy is used for relapsing forms of MS. This includes clinically isolated syndrome/first-attack high-risk patients, relapsing patients, secondary progressive patients who are still experiencing relapses, and progressive relapsing patients. The choice of agent depends upon drug factors (including affordability, availability, convenience, efficacy, and side effects), disease factors (including clinical and neuroimaging prognostic indicators), and patient factors (including comorbidities, lifestyle, and personal preference). This review will discuss the disease-modifying agents used currently in MS, as well as available alternative agents. The therapeutic options for multiple sclerosis are rapidly expanding. What was once seen as a disease with little hope for treatment is now a target of rapid drug development. Current therapies have demonstrated efficacy in limiting the impact of the disease, but none is fully effective in all patients. However, promising new treatments are on the horizon. In this review we will discuss potential novel immunomodulating drugs that are in advanced stages of investigation; these drugs include monoclonal antibodies, chimeric molecules, and oral therapies. The use of hematopoietic stem cells will also be discussed and, in addition, we will look farther ahead at possible novel targets for the development of new immunomodulatory or neuroprotective pharmaceuticals. The management of multiple sclerosis (MS) revolves around disease management, symptom management, and person management. Of these, symptom management takes up the bulk of the time of the practicing physician. Some symptoms are easily managed whereas others are more difficult. Decisions have often to be made on whether to treat or to wait and watch. This article discusses the varied symptoms of MS and the approaches to management, which involves rehabilitation, pharmacological treatments, and surgical procedures. The skilled physician managing MS should be familiar with the multiple approaches to improving the quality of life of those with MS. After the diagnosis has been established and the decisions regarding treatment approaches have been made, the talk in a typical office appointment for MS usually turns to symptom management. Thus, the majority of management decisions made by the clinician revolve around that important topic. It is symptom management that will determine quality of life for those with MS, It is the basis for improving function, and, up until twenty years ago, it was the only basis for treating MS. Now, however, we can approach treatment by disease management, symptom management, and person management. The MS specialist must be well versed in all three areas. While current immunomodulating drugs aim to reduce multiple sclerosis (MS) exacerbations and slow disease progression, rehabilitation aims to improve and maintain the functional abilities of patients in the face of disease progression. An increasing number of journal articles are describing the value of the many rehabilitation interventions that can be used throughout the course of the disease, from the initial symptoms to the advanced stages. An integrated team of healthcare professionals is necessary to address a myriad of problems to reduce impairments, disabilities, and handicaps. The problems may be related to fatigue, weakness, spasticity, mobility, balance, pain, cognition, mood, relationships, bowel, bladder, sexual function, swallowing, speech, transportation, employment, recreation, and activities of daily living (ADL) such as dressing, eating, bathing, and household chores. The team can help prevent complications and secondary disabilities, while increasing patient safety. Improving neurological function, maintaining good relationships, and feeling productive and creative adds enormously to the quality of life of people with MS and their families. Rehabilitation is more than an 'extra' service that is given after medical therapies; it is an integral part of the management of the diverse set of problems encountered throughout the course of the disease. An interdisciplinary team may have many members, including physicians, nurses, physical therapists, occupational therapists, speech and language pathologists, psychotherapists, social workers, recreational therapists, vocational rehabilitation therapists, patients, families, and other caregivers.